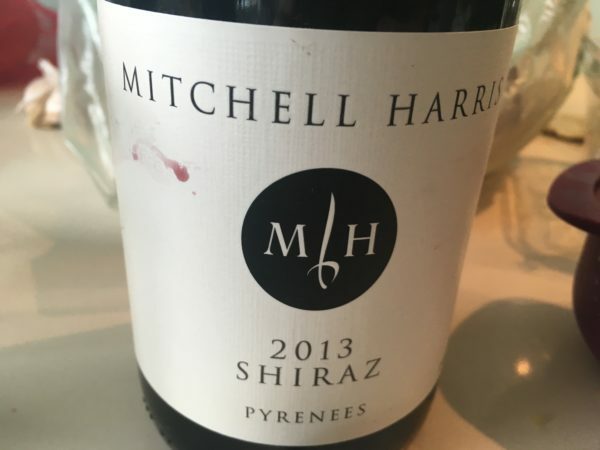 I’ve been lucky to have tasted the Mitchell Harris wines since the start, way back in 2010 when Johnno Harris was still a winemaker at Mount Avoca and the Mitchell Harris label was a side project. Fast forward six years and Mitchell Harris now has its own cellar door/wine bar home in a heritage building in Ballarat and the brand is kicking on strong. 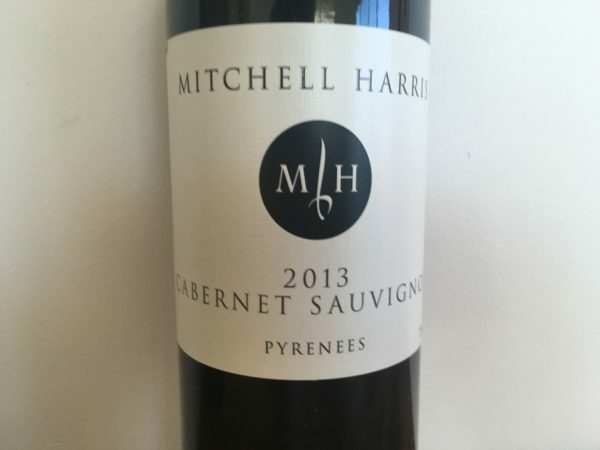 Pyrenees Shiraz can see some benefit from a dollop of co-fermented Viognier, and this works a treat. From the Perrick & Malakoff vineyards, this includes 2% Viognier in the blend and 25% whole bunches, with maturation of 18 months (though the bottle says 15 months) in 15% new French oak. 250 dozen produced. There’s a freshness to the nose here which is a contrast to the warm vintage. Mint, raspberry and plum, the nose tight and singing a structured story. Underneath there is plum, vanilla and then some serious tannins, before just a little dried fruit on the finish. Initially generous, but finishing tight and just a little raw, this is wine for the future, and the longer it sits the better it looks. Good stuff. Best drinking: 2020-2030. 17.7/20, 92/100+. 13.8%, $35. Would I buy it? I’d be tempted by a glass or three. 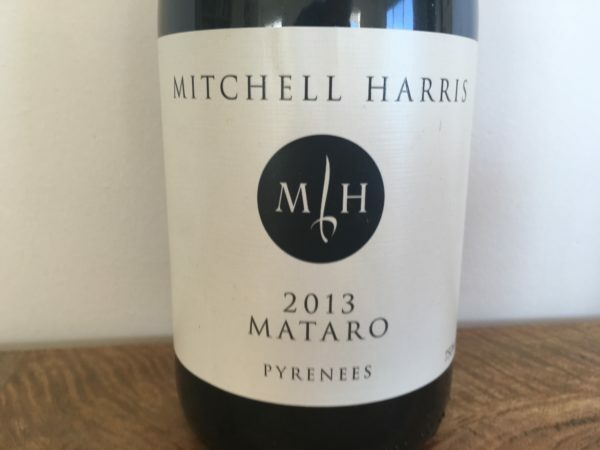 There isn’t much in the way of Mataro planted in the Pyrenees and I’m yet to be moved by a straight varietal Pyrenees Mataro. This includes 10% whole bunches. Deep ruby maroon, the nose here is meaty and mulchy without a real suggestion of fruit. Despite that, the palate is juicy and quite plump, primary even, with a minty edge and drying tannins. Solid and surprisingly juicy, but just lacks the complexity of the straight varietal wines. Best drinking: 2016-2024. 16.8/20, 89/100. 13.8%, $30. Would I buy it? Not quite. Again, the only thing hard here is that it is achingly young. Sourced from the Peerick Vineyard, ands matured in 20% new oak, this is twenty year wine no problem. Defined by choc mint and drying tannins, it’s tight and long, the dark fruit and mint flavours resolutely Pyrenees stamped, the tannins occasionally wavering into too firm territory though without astringency. The Shiraz is a sexier wine now, but the Cabernet will live and satisfy for longer. Choose your poison! Best drinking: 2020-2033. 17.7/20, 92/100+. 13.5%, $30, Would I buy it? Only if I could wait a few years before drinking.